Looking for a great last minute Father’s Day gift idea for dad?!? 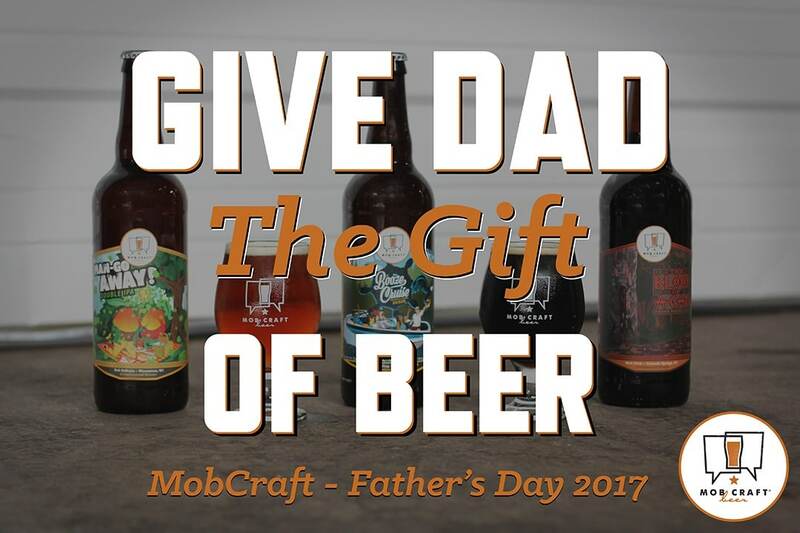 A subscription to MobCraft Beer is the perfect Father’s Day gift for the most important craft beer lover in your life. We ship dad 3, 6, or 12 of our winning crowdsourced beers. He gets to relax and let the beer come to him! That’s right, we ship beer straight to dad’s door! He can also pick up his beers as we release them at our Milwaukee taproom or our pickup hub in Madison, WI. A bit about crowdsourcing: We are a crowdsourced brewery, each month the crowd submits and votes on beer ideas. At the end of the month the beer with the most pre-orders wins and is brewed, packaged and shipped straight to your door or available for pickup at the brewery. Fun and unique beer ideas win each month. So dad will always get a unique beer! So what are you waiting for? Be sure to give dad the gift that keeps on giving subscribe him to beer!